I like to feel at home when I travel. So, I often look for cute Airbnb rentals so I can have a kitchen to cook in and more space than a hotel room will give me. If you’re traveling long-term, you can save a lot of money this way by looking for the rentals that offer a discount for weekly or monthly rental. Here are some of the Airbnb tips and things you should make sure you do before booking. Make sure to read all of the reviews before booking. People are usually pretty specific when it comes to reviewing their stay, and this way, there won’t be any surprises when you get to your rental. Make sure to also closely read the house rules and the cancellation policy before you book. You don’t want there to be any surprises. I’ve learned that most hosts will negotiate the rate, especially if you are staying for a week or more. It doesn’t hurt to ask, and this is a great way to save money on your stay. If you make payment outside of Airbnb, it puts you at a greater risk of being scammed. 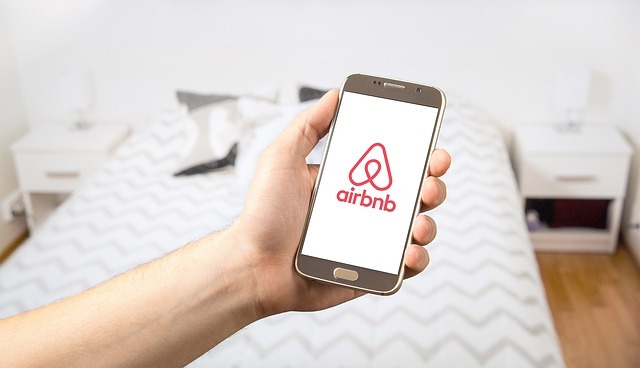 It’s also best to only communicate with their messaging system, so that Airbnb will have a record of all communications between you and your host. I’ve made the mistake of renting Airbnb’s which were in terrible locations, and so I spent a lot of extra money on taxi fare to get to and from the location. I’ve also rented in neighborhoods that were less than desirable. I’d definitely recommend, not just researching the proximity to the tourist attractions you want to visit, but also the neighborhood itself to make sure it’s in a safe location. I like to use Google Street View to check out the neighborhood I will be visiting. I’ve also been surprised to arrive at an Airbnb to find out there was no WiFi. Of course, once I looked, it wasn’t listed as one of the amenities offered. If you want extras like WiFi, A/C, a kitchen, or a washing machine, make sure to check that they are offered. Also, read the guests comments to make sure the internet is reliable. Just because it’s offered, doesn’t mean it will be high speed or reliable. There are many crackdowns on Airbnb happening in many cities around the world. If you see this is happening, you may want to wait until after the regulations are written before booking. Many people have had their reservations cancelled due to regulations that went on the books after their reservation. 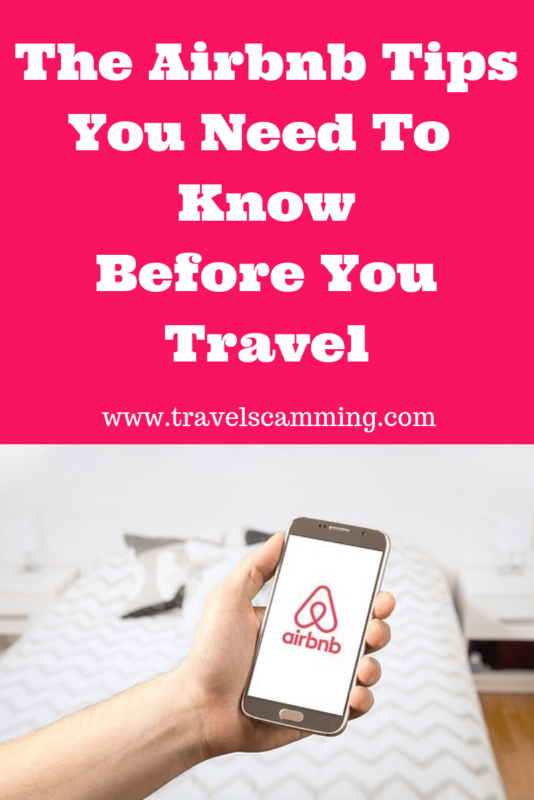 You also want to check to make sure an Airbnb meets the regulations of the area you are visiting. Many hosts like to add extra fees to your booking, so the price you see listed under the search won’t actually be your nightly fee in the end. Read the entire listing and looks for extras such as cleaning fees and extra guest fees. Also, don’t forget that Airbnb charges a service fee and sometimes local or VAT taxes. Know what to expect when it comes to the final price you will pay. This is one of the Airbnb tips you need to know to prevent unexpected charges for your stay. The great thing about Airbnb is they do have a great resolution team when it comes to any problems you may have. I’ve had to use it, and they came up with a fair solution to me getting a partial refund when I had to check out of a place that didn’t live up to my expectations. You don’t always get that even with some hotels. So, I like the peace of mind I have knowing that even if a place doesn’t turn out as expected, I can still get the problem resolved. If you’re new to Airbnb, click on the following link to save $37 off of your next booking! What are your favorite Airbnb tips? Leave a comment below! Sometimes we can’t trust the reviews because the host created some clone accounts and rated 5 stars. Anyway, Airbnb is a great platform to book hostel for me. Thanks for your sharing! Some great tips here. We’ve never tried to negotiate the rate with the hosts. Although it makes sense for longer stays we generally stay in Airbnbs for long weekends or just a few nights. I like the recommendation to negotiate the rate. I’ve saved hundreds that way 🙂 Sometimes, if you’re willing to take some risk, new hosts will give you a really good rate in exchange for a review. The nicest place I ever stayed I checked back a year later, and the guy was already charging more than double what I paid.